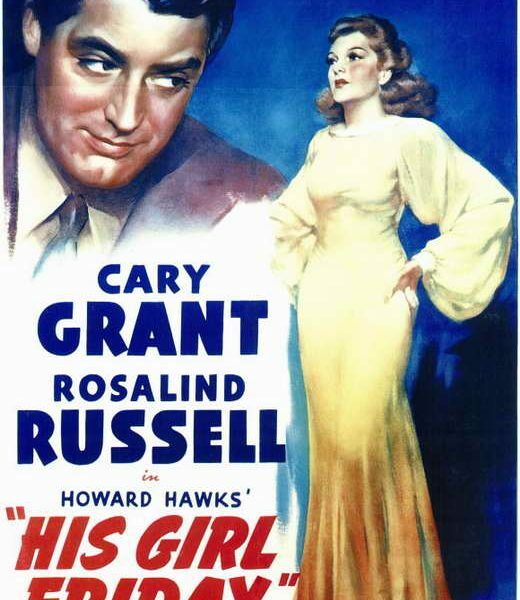 In His Girl Friday newspaper editor Walter Burns (Cary Grant) finds out that his best reporter ánd ex-wife Hildy Johnson (Rosalind Russell) is engaged and wants to quit her job and settle down. But Walter has one more trick up his sleeve: he suggests they cover one more story together in a ploy to win her back…. –His Girl Friday is an adaption of the play The Front Page. 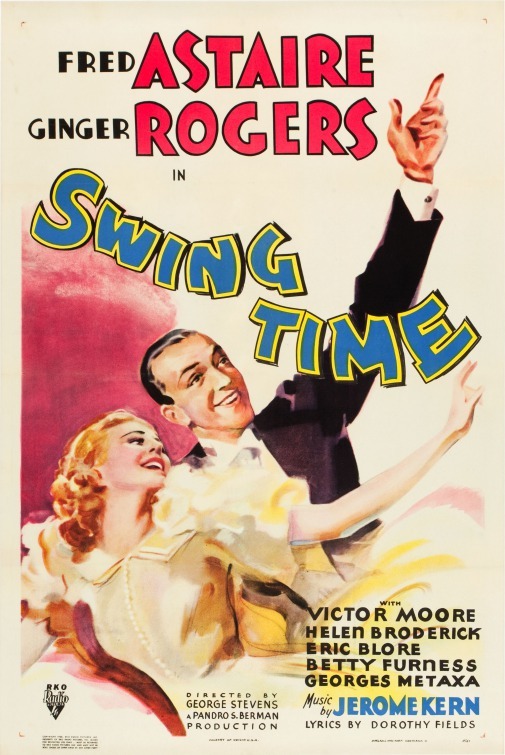 It was the second time the play was made into a film, the first one being The Front Page in 1931. -In the play the film was based on the part of Hildy was played by a man. But when Howard Hawks was auditioning actors, he would sometimes let a secretary read the lines of Hildy. He found the words suited a woman and decided to rewrite the part. Thus creating a romantic plot that was not in the original play. -Cary Grant was the first choice to play Walter, nobody else was ever considered for the part. -Jean Arthur was the first choice to play Hildy, but she refused and was therefore suspended by the studio. Next up was Irene Dunne, who rejected the role because she felt it was too small. It was also offered to Carole Lombard, Margaret Sullavan, Ginger Rogers and Claudette Colbert. Rosalind Russell was hurt when she found out she was far from the first choice for the part, but it encouraged her to show the studio how good she really was. -This was one of the first films where characters talk over the lines of other characters. Director Howard Hawks felt that this was more realistic and that people tend to talk over one another when excited or explaining something. The normal rate of verbal dialogue in most films is around 90 words a minute, in His Girl Friday it is 240 words a minute. -Rosalind Russell felt that she didn’t have as many good lines as Cary Grant had. Since director Howard Hawks allowed for spontaneity and ad-libbing, she secretly hired her own writer and had him write clever lines for her. Most of the cast and crew did not know this, except for Cary Grant, who was all for it. -Cary Grant ad-libbed the line: “He looks like that fellow in the movies, you know…Ralph Bellamy!”. Ralph Bellamy played Bruce in the film and the two had previously worked together on The Awful Truth. -Rosalind Russell was reportedly difficult to film because of her lack of a sharp jawline, requiring makeup artists to paint and blend a dark line under her jaw while shining a light on her face for a more youthful appearance. –His Girl Friday contains no music besides the music that leads to the final fade out of the film, which is unusual for the time period. -They managed to get around the strict Production Code Censors for films, by adding a prologue to the film stating: “It all happened in the ‘dark ages’ of the newspaper game – when to a reporter ‘getting that story’ justified anything short of murder. Incidentally, you will see in this picture no resemblance to the men and women of the press of today. Ready? Well, once upon a time –“. His Girl Friday is a comedy that stood the test of time. 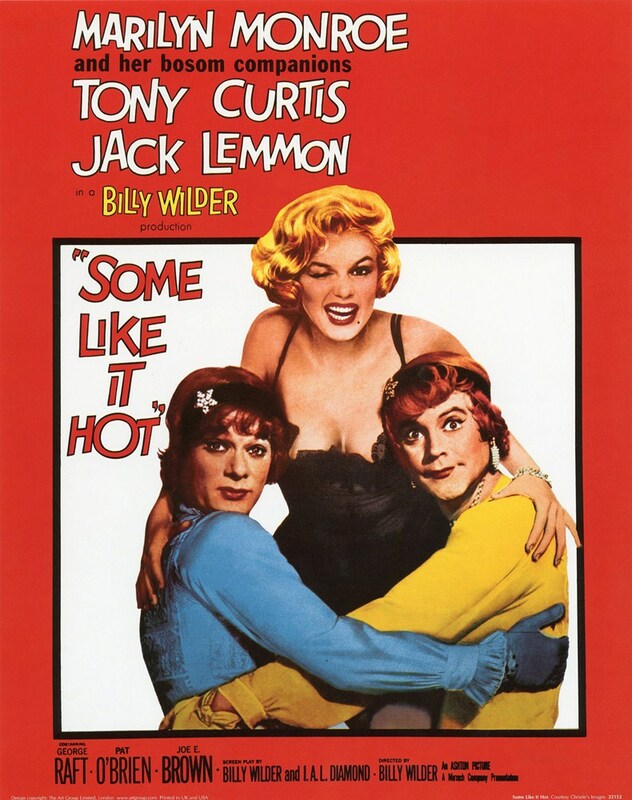 It still shows up in ‘Best Comedies Of All Time’ lists and many people working in the film industry cite His Girl Friday as a film favourite and inspiration, like writer/director Quentin Tarantino. 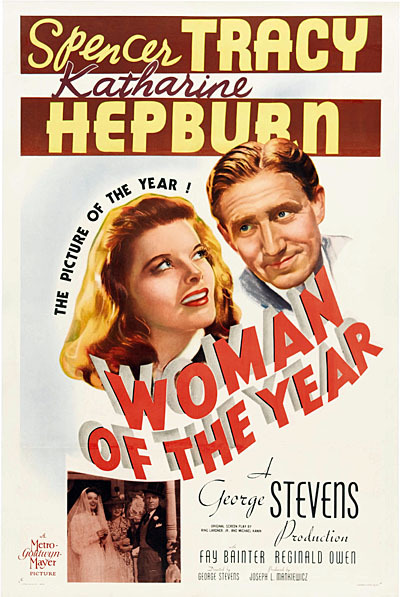 Director Howard Hawks is to thank for the speedy dialogue for which the film is known. This fast-pace adds to the wit and intelligence of the script and gives a new energy to the genre. His decision to make Hildy a woman instead of a man, proved to be a stroke of genius as well. His Girl Friday inspired a wave of films focusing on women who were conflicted between marriage and career. It could be said that His Girl Friday is one of the first movies to combine comedy with drama. 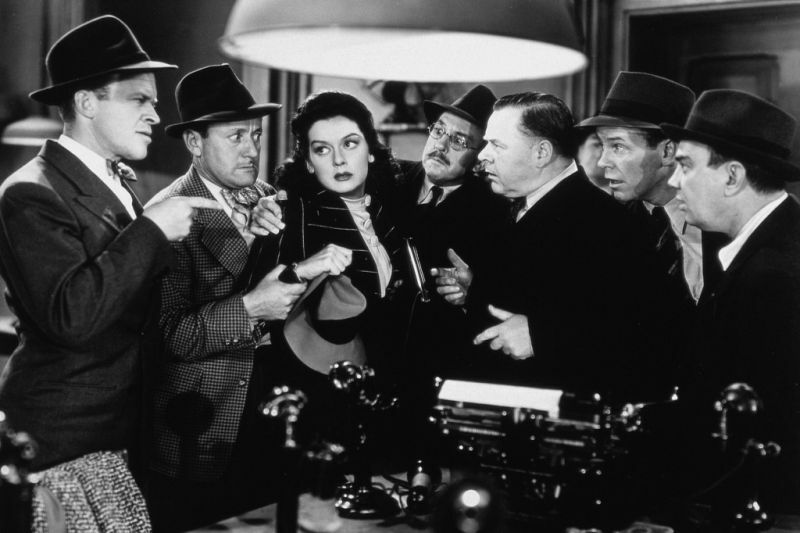 Most comedies of its day were light and bubbly, whereas His Girl Friday can be dark and cynical at times, which is one of the reasons it aged so well. Of course, the performance of both Cary Grant and Rosalind Russell should be mentioned as well. Playing the roles of Walter and Hildy seem to come so naturally to them, and their chemistry and comedic timing are a joy to watch. 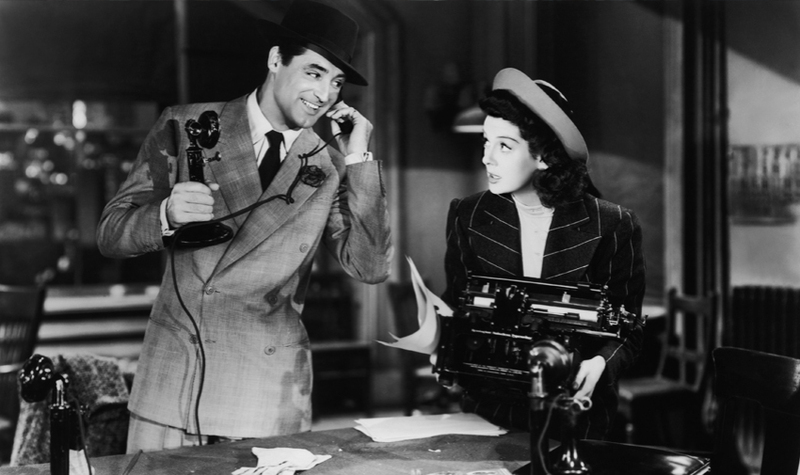 All in all, His Girl Friday deserves its title as one of the best comedies ever made. Read more about Cary Grant’s life.